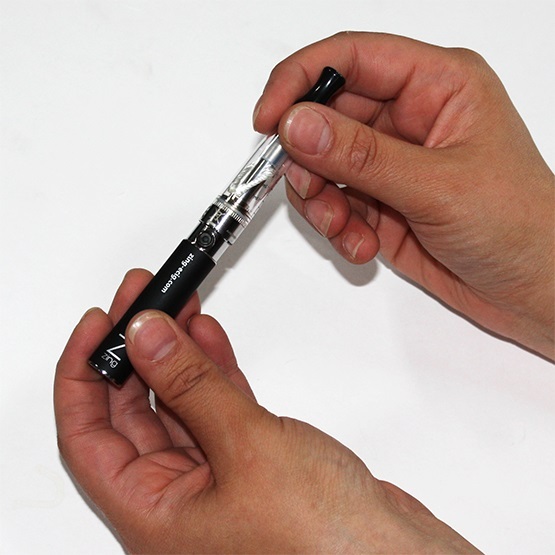 Follow the steps below to find out how to correctly fill a CE4 clearomizer with e-liquid. Our Zing Vape Pen starter kits come with a CE4 clearomizer as standard, however if you have purchased one of our kits that includes the updated CE5-S Clearomizer, please click here for the relevant guides. You’ll notice that there is a clear, silicone-like tube in the middle of the tank. 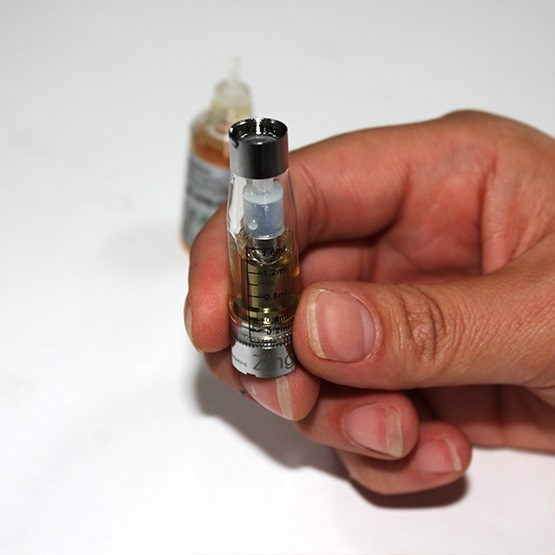 Aim the nozzle of your e-liquid bottle down the bottom side of the tank and gently squeeze to fill it. 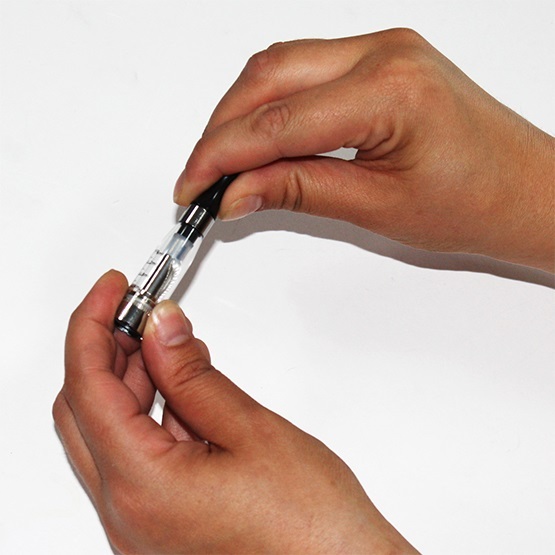 You will want to do this as slowly as possible to avoid getting e-liquid in the central tube or over-filling the tank. 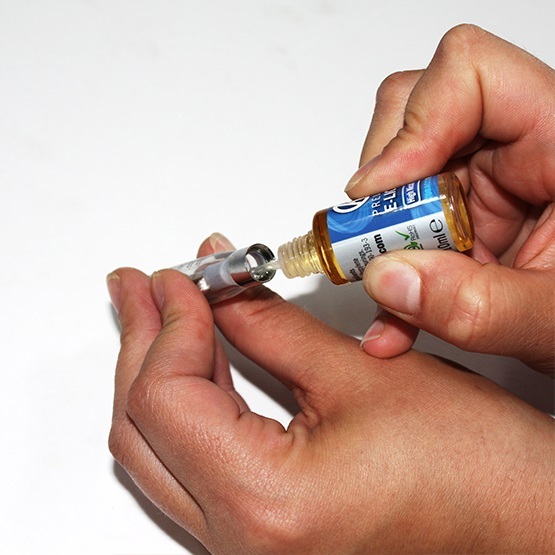 Ensure that you check the level of the e-liquid at regular intervals while filling as you do not want to overfill the tank as this will cause it to leak. Once the level is just below the maximum marker, you can screw the mouthpiece back onto the tank. Always leave a brand new clearomizer for a couple of minutes after filling it for the first time to allow the e-liquid to soak into the wick, otherwise you might get a burnt taste and may well ruin the coil, meaning you’ll have to throw the whole tank out! Screw your clearomizer back onto the battery & that’s it! You’re ready to vape. 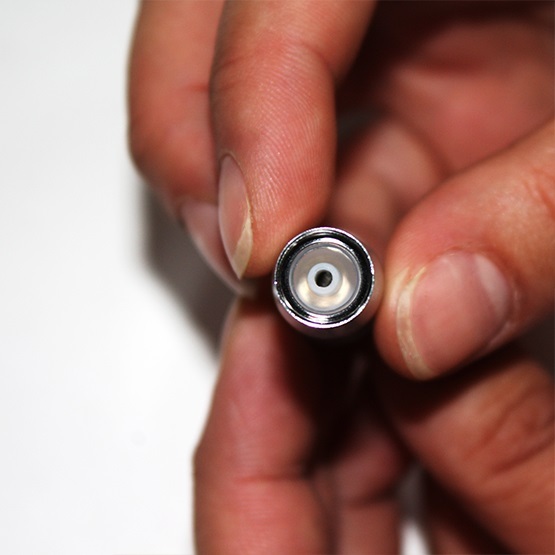 If you need any help on how to use your vape pen check out our handy guide, or if you experience any issues after following these steps, visit our ‘Problem Solving‘ pages or contact us and one of our friendly staff will be happy to help.